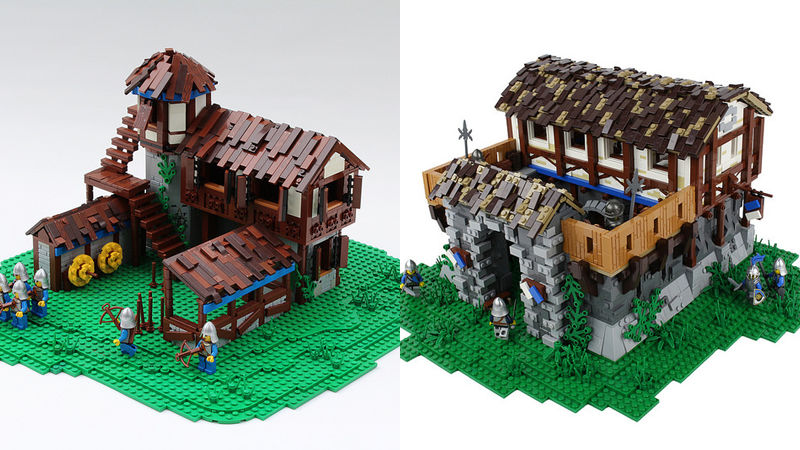 Here are some nice LEGO versions of essential medieval buildings from Age of Empires II by a group of LEGO enthusiasts. An Archery Range by Mark of Falworth and Barracks by Andrew JN above, and a few more below. Great designs (with very good rooftops!) and with the old-school minifigs added, these builds reminds me of the 90s LEGO castle sets.